Live chat is the most preferred method of two-way customer support. This is followed closely by email and phone contact methods. Women are more likely than men to contact you via email. Men are more likely than women to want an instant answer via live chat. Men prefer phone over email. 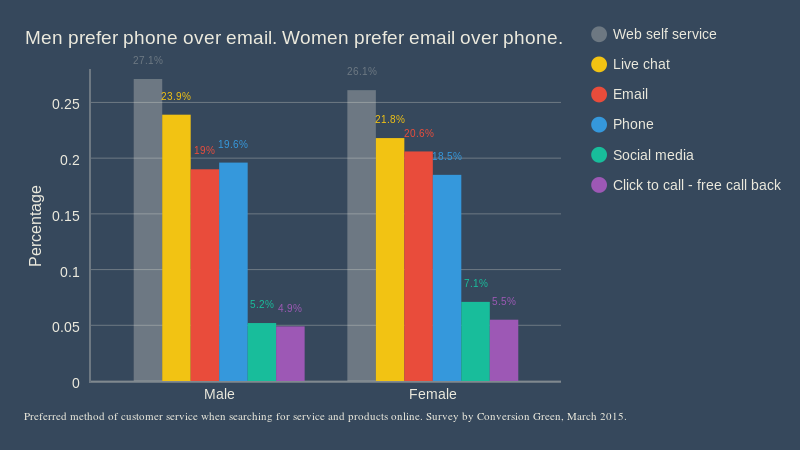 Women prefer email over phone.